The Capitol Square Review and Advisory Board (CSRAB) will commemorate the 154th anniversary of the repose of President Abraham Lincoln in the Ohio Statehouse Rotunda on Monday, April 29, 2019. The day will begin with the dedication of a historic flag, and will include a replica casket, an exhibit, honor guards, Civil War reenactors and cannon firings. CSRAB will commemorate the return of a 36-Star flag that flew over Capitol Square during the repose of President Abraham Lincoln, on April 29, 1865. The flag originally was presented to David Nevin Murray of Portsmouth, Ohio, for his contributions to the war effort on behalf of the Union Army during the American Civil War. Murray’s descendants, the Van Tilburg family, donated the historic flag to the Ohio History Connection. In conjunction with the 154th anniversary of the repose of President Lincoln, the flag will be displayed in the Ohio Statehouse Rotunda from 9 a.m. until 3 p.m. on April 29, and will return after further conservation work is completed. The 9 a.m. dedication ceremony is open to the public and will be live streamed at OhioChannel.org. The 1st Ohio Light Artillery, Battery A, a group of Civil War re-enactors, will provide an honor guard for the replica of Lincoln’s casket from 10:30 a.m. until 3 p.m. 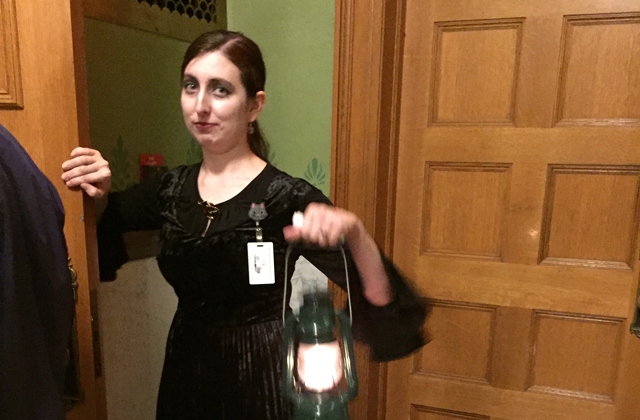 The Batesville Casket Company created the 1865 casket for Lincoln, and has generously provided an accurate replica for this event. This will take place on the site where the slain President lay in repose in the Ohio Statehouse Rotunda on April 29, 1865. 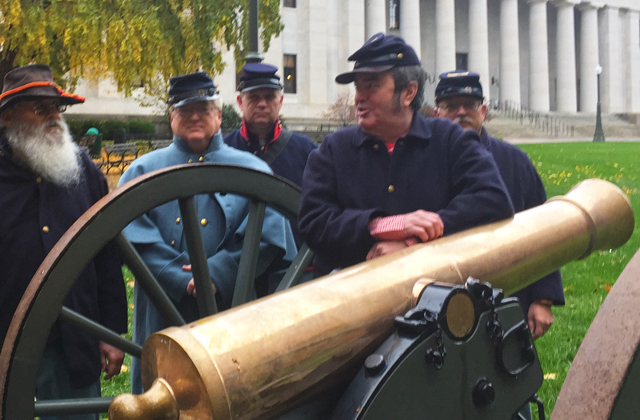 In conjunction with the repose of Lincoln, the 1st Ohio Light Artillery, Battery A will hold the 2019 Civil War Encampment at Ohio Statehouse. Learn what camp life was like during the Civil War. Walk among soldiers’ tents, see how to fire the cannon and help the Ladies Aid Society deliver comfort to the troops. Historical re-enactors from the 1st Ohio Light Artillery, Battery A, along with other partnering organizations, will demonstrate Civil War life, music, food and medical practices. Cannon firings will occur periodically from 10:30 a.m. to 3 p.m. on the West Plaza of the Ohio Statehouse. The train that carried the president’s body, referred to as the “Lincoln Funeral Train” traveled more than 1,600 miles, and during the 13-day trip, one third of the population of the United States witnessed the train pass through their community, including Columbus, Ohio. This photography exhibit begins with the assassination of our nation’s 16th president, Abraham Lincoln; it follows his funeral train route from Washington D.C. to Springfield, Illinois, and focuses on how he was honored at each stop. This exhibit will bring to life one of those stops—the Ohio Statehouse in Columbus—where nearly 50,000 citizens paid their respects. 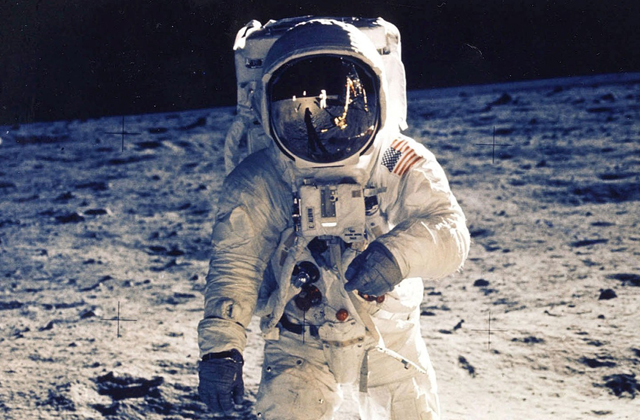 Reproduction images are courtesy of the Library of Congress. To honor the life and service of Spc. Joseph P. Collette, of Lancaster, Ohio, flags at the Ohio Statehouse and in Fairfield County will fly at half-staff effective immediately until sunset on the day of his funeral. UPDATE: His funeral will be held on Friday, April 5, 2019. The flags shall remain at half-staff upon all public buildings and grounds throughout Fairfield County and the Ohio Statehouse until sunset on that date (April 5). 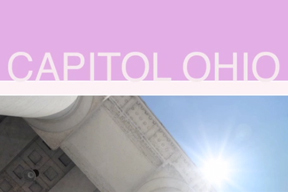 The Capitol Square Review and Advisory Board (CSRAB) and the Capitol Square Foundation today announce the recipients of the 2019 “Great Ohioan Award.” The 2019 honorees were presented by the Capitol Square Foundation and unanimously approved by the CSRAB this morning at the Board’s first meeting of 2019. 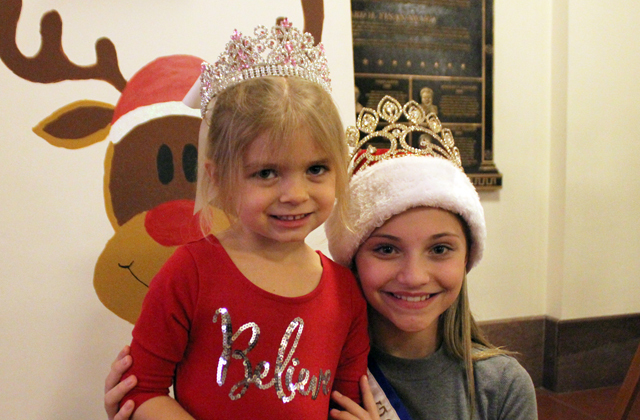 The individuals were selected from nominations submitted by citizens and organizations from across Ohio. The 2019 Great Ohioan awardees are: President Rutherford B. Hayes, Union veteran, Congressman, Governor of Ohio and President of the United States of America, and William Ellsworth “Dummy” Hoy, professional baseball player, baseball innovator and advocate for the deaf community. 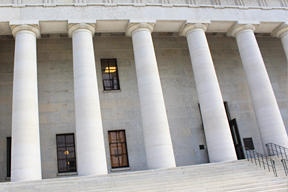 “I believe President Hayes and Mr. Hoy embody the spirit of the Great Ohioan Award and will serve to inspire future generations of Ohio leaders; they represent the great wealth of talent that the Buckeye State has produced,” said Senator Bob Peterson, Chairman of the Capitol Square Review and Advisory Board. President Rutherford B. Hayes biography. William Ellsworth “Dummy” Hoy biography. “Through their accomplishments, each Great Ohioan has changed the trajectory of the State of Ohio, the United States and the world. We hope that every Statehouse visitor is inspired by the life and accomplishments of each one of the men and women who have been recognized with this honor,” said Capitol Square Foundation Chairman Charles Moses. Since 2003, 44 Great Ohioans have been recognized with the award for the special roles they played in history. “Both individuals have left their mark on Ohio and the nation; President Hayes and Mr. Hoy have earned the title of Great Ohioan,” said Laura P. Battocletti, CSRAB executive director. 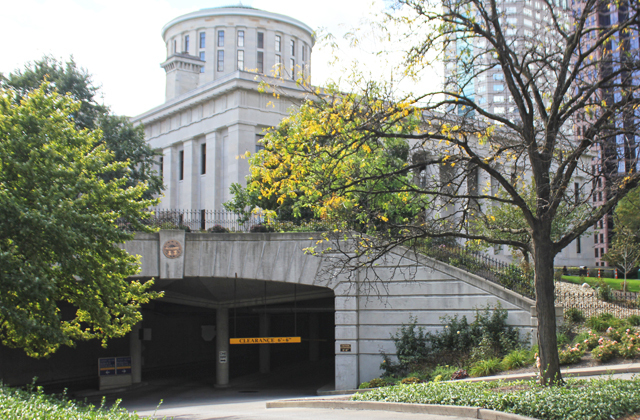 Great Ohioan honorees and their achievements are archived in a permanent Great Ohioan exhibit, which is part of the Ohio Statehouse Museum. While countless Ohioans have performed great actions for their community and beyond, only a select few have been named a “Great Ohioan.” This exhibit allows visitors to have a greater understanding of the recipients of the Great Ohioan award and discover how they affected local, national and world history. The exhibit uses videos, photos, facts and web based technology to explore the life and legacy of each Great Ohioan. Opened in 2009, the Ohio Statehouse Museum features high-tech, interactive exhibits that make learning about state government immersive. The museum is packed with historical artifacts and images that detail how government works and who has come to serve their fellow citizens. The new Ohio Constitution exhibit utilizes the original 1802 and 1851 Ohio Constitutions, in conjunction with visitor-interactive displays, to answer the questions, what is the Ohio constitution, what does it do and how does it impact Ohioans in the 21st century? The Museum includes 5,000 square feet of exhibit space on the ground floor of the Ohio Statehouse that enriches the experience of school children and visitors. The Museum offers exhibits that encourage visitors to participate in the government process by making choices, expressing their opinions, comparing viewpoints and even becoming a part of an exhibit by giving a State of the State address. The museum’s “deep dive” approach to education enables visitors to better relate to the governing process. To honor the life and legacy of former Representative John Dingell, Jr., flags at the Ohio Statehouse will fly at half-staff effective immediately until sunset Saturday, February 9, 2019 . In honor of the life and service of Clermont County Sheriff’s Detective Bill Brewer, flags at the Ohio Statehouse will fly at half-staff effective February 3 and will remain at half-staff through sunset on February 8, 2019.